Angina is most often manifested by pain in the heart or behind the sternum. At the same time there are additional symptoms indicating a violation of the coronary circulation. When identifying them, it is important to know what to do. Stenocardia - It's like a dr.-Greek. στενός - "narrow, close;weak "+ other-greek. καρδία - "heart". Patients describe angina as a feeling of compression, strangulation or burning in the chest, but an attack of angina is not a heart attack. Unlike a heart attack, the heart muscle in angina is not damaged irrevocably, so pain usually takes place after a rest. The onset of stenocardia is often different in individual patients. In one, only one pain is determined. In other cases, there are symptoms like weakness, dizziness, sensation of palpitation. 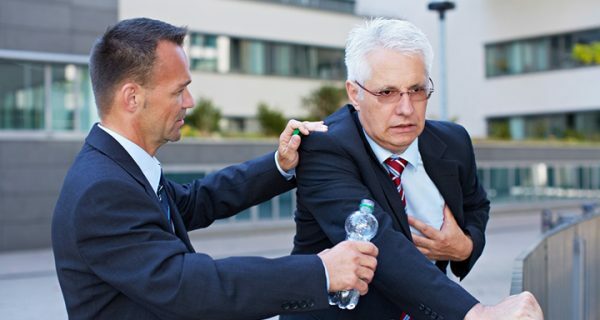 In the presence of angina pectoris, it is important for the relatives and relatives to know what and how to do during an attack. Angina is usually a symptom of coronary heart disease (IHD), which is today considered the most common disease among people over the age of 50. 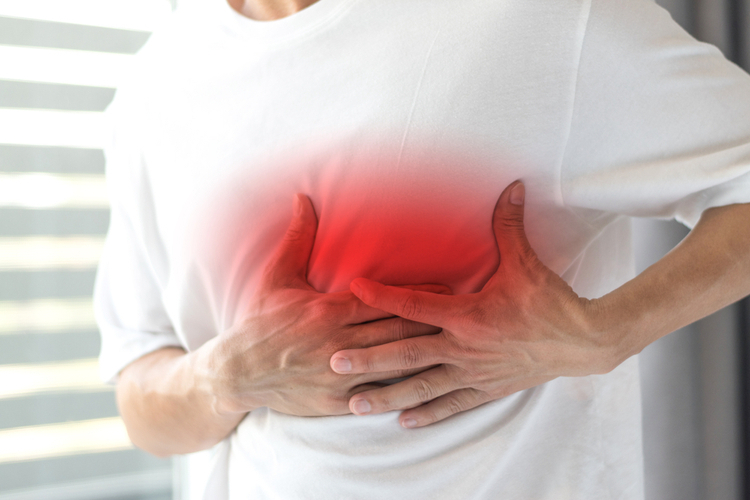 The onset of angina begins with pain in the center of the thoracic cage , which can later spread through the left hand, as well as give it to the neck, back, throat or jaw. The patient may also experience numbness or loss of sensation in the arms, shoulders, or wrists. The episode usually lasts no more than a few minutes. But if the pain lasts longer, changes or increases, you should immediately contact your doctor. Patients with stable angina pectoris usually know the level of activity or emotional stress that causes an attack. It is important to monitor the duration of the attacks. Occasionally, feelings are different from the previous ones or the medicine does not, as before, weakens the symptoms. Sometimes the usual pace of life varies, and then the attacks happen more often, last longer or occur without physical exercise. Changing the nature of the attacks may indicate an unstable angina, and then you should contact your doctor as soon as possible. In the presence of a new, deteriorating or constant chest pain, the risk of a heart attack, irregular heartbeat (arrhythmia) and even sudden death increases. 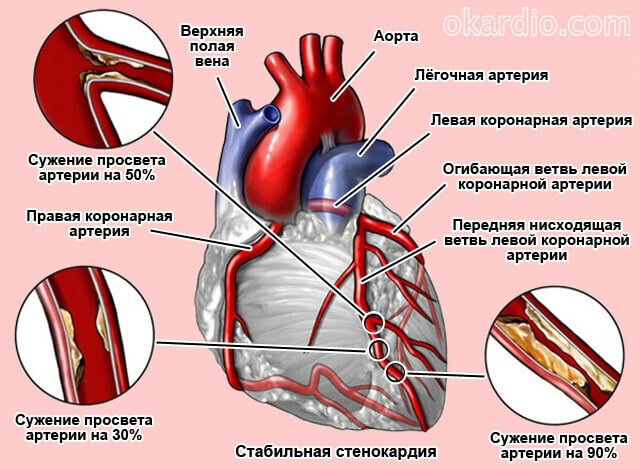 Optional angina pectoris, or angina pectoris , is a rare form of angina caused by coronary spasm (vasospasm). 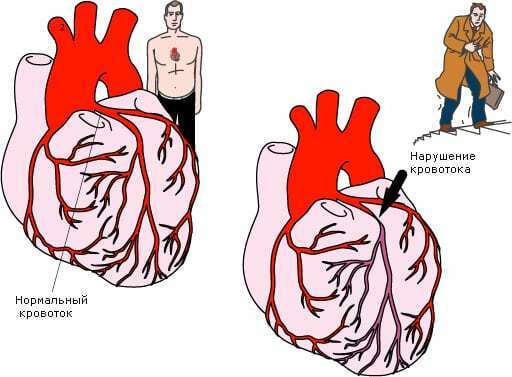 With this pathology, the coronary artery is temporarily narrowing, so the heart does not get enough blood. 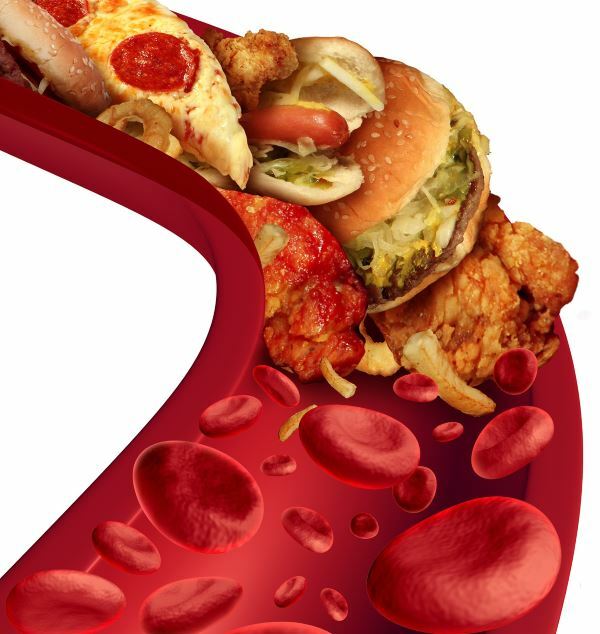 This can occur in patients who also have severe accumulation of fatty plaque (atherosclerosis) in at least one large vessel. Unlike typical angina, the variant usually occurs during rest. These attacks, which can be very painful, often occur at a specific time of the day. Microvascular angina is a type of angina, in which patients experience chest pain, but the diagnosis does not detect blockages in the coronary artery. Incremental pain is often caused by the fact that tiny blood vessels that feed the heart, arms and legs do not function properly. Typically, this type of stenocardia is well tolerated by patients and has few long-term side effects. Yet, with microvascular angina, the risk of ischemic vascular disease increases, which in turn contributes to the development of myocardial infarction. The appearance of angina is associated with a disturbance in the delivery of the necessary amount of blood to a specific part of the heart muscle due to the total or partial overlap of the heart vessel (coronary artery). As a result, myocardial oxygen demand is not satisfied. The lack of oxygen-rich blood in the heart leads to ischemia. Extremely high or low ambient temperature. Men's angina attacks usually begin after 30 years and are almost always caused by coronary heart disease (IHD). 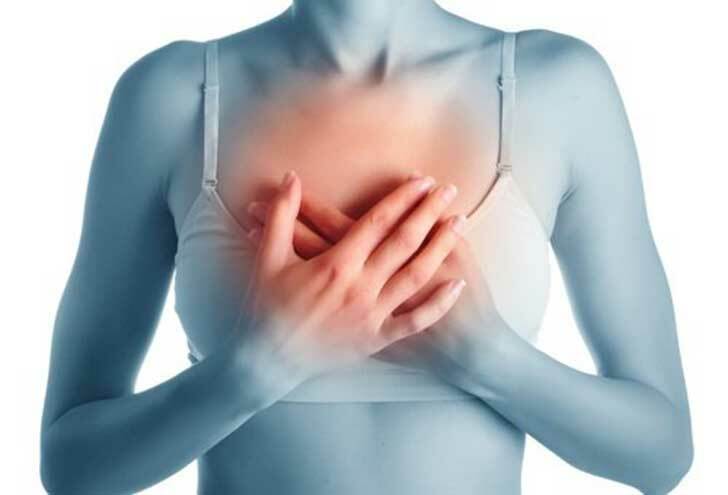 In women, angina pectoris often occurs at a later age and may be due to coronary artery disease or other factors such as narrowing of the aortic valve in the heart (aortic stenosis), low blood red blood cells (anemia), or hyperthyroidism (hyperthyroidism). Doctors can usually find out if there is an attack of angina, while listening (auscultation) of the heart. Also important are complaints submitted to the patient. Lipoprotein profile on the stomach , which allows you to check the level of cholesterol. Fasting Glucose Test , Needed to Determine Glucose Levels in the Blood. A C-reactive protein (CRP) test may indicate inflammation (a risk factor for coronary heart disease). Tests for heart markers , such as troponin, which is excreted in severe ischemia or trauma. Regular check for low hemoglobin (part of the erythrocyte that carries oxygen throughout the body), helping to exclude other possible causes of chest pain. Electrocardiography (ECG) is an investigation based on the attachment (using adhesive material) of small electrodes to the arms, legs and chest, which allows you to measure the frequency and regularity of the heartbeat and check the working capacity of the heart muscle. Stress test with physical activity . The subject is asked to perform an exercise, such as walking on a treadmill, and indicators of ECG and arterial pressure are taken before, during and after the workout. As a result, the magnitude of changes in the heartbeat and blood pressure is determined. Catheterization of the heart - a thin flexible tube (catheter) passes through the artery in the groin or arm in the coronary arteries, which explores the inside of the vessel and controls the quality of the blood flow. Optional angina is most often diagnosed with a Holter monitor. This research method allows for 24 hours (or longer) to continuously measure the frequency and rhythm of cardiac activity and record data that is then verified and analyzed by the physician. When determining the first signs of angina, the patient should stop physical activity and try to completely relax. To do this you can take a sedentary position. It is also important to provide fresh air (if the attack happened in the room), for which it is necessary to open the windows or doors, unfasten the gate or remove tight clothing. 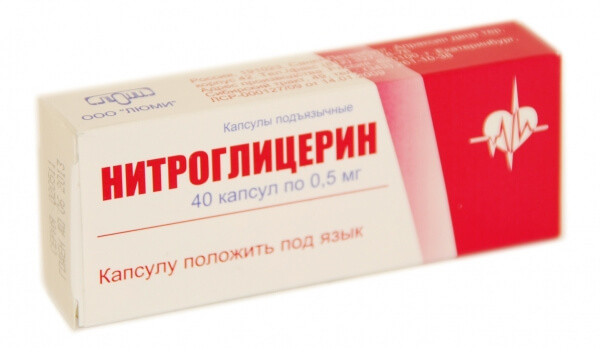 Nitroglycerin - promotes relaxation of blood vessels, lowering blood pressure, reducing heart rhythm disturbance. Blocker of calcium channels - reduces the frequency of heart contractions, which allows you to eliminate arrhythmia (verapamil, diltiazem). 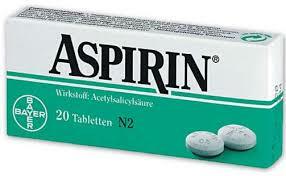 ACE inhibitor reduces arterial pressure, which results in the removal of cardiac output. Some medications can help prevent or alleviate the symptoms of angina pectoris. The most famous preparation for angina is called nitroglycerin . It works by dilatating (enlarging) blood vessels, which improves blood flow and allows more blood-rich oxygen to reach the heart muscle. For example, the drug "Nitro" works in a matter of seconds. At the time of the onset of an attack, patients are usually told to sit or lie down, and then take nitroglycerin. If the activity, such as climbing the stairs, causes angina pectoris, the drug can be used in advance to prevent the onset of angina. Other medications used to control typical angina and microvascular angina are beta-blockers and calcium channel blockers. These medicines reduce the heart's need in oxygen, slowing heart rate or lowering blood pressure. They also prevent irregular heartbeats, called arrhythmias. The blockers of calcium channels and nitrates can also be used to prevent spasms that cause the onset of a variant stenocardia. Changes in lifestyle and more careful compilation of drug therapy are the most common methods for controlling angina pectoris. In more severe cases, a procedure called a revascularization may be required. Although angina pectoris may be caused by physical exercise, this does not mean that you must completely stop physical activity. In fact, you should continue to perform a charge only in accordance with the doctor's program. 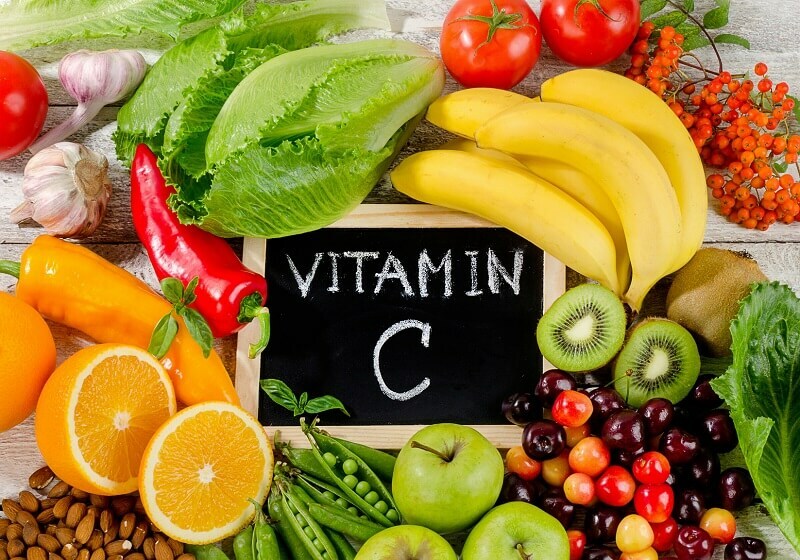 It is important to know that taking healthy food without smoking, limiting the amount of alcohol that is a desire to use, and also avoiding stress, you can live more comfortably and with fewer seizures of angina. For patients with stable angina pectoris, doctors may prescribe anti-aggregate therapy, such as aspirin. This medication reduces the ability of the blood to coagulation, facilitating blood flow through narrowed arteries. 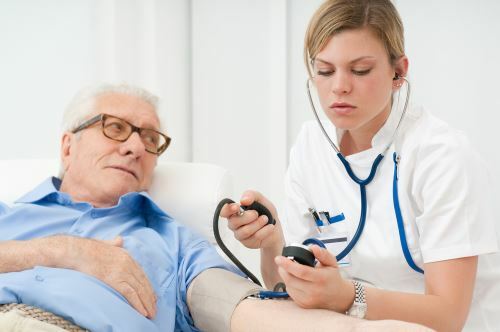 For patients with unstable angina, doctors usually recommend bed rest and some types of blood-thinning medications such as heparin and clopidogrel. Coronary Artery Bypass (SCA) - A part of the blood vessel is taken from another part of the body and used to redirect blood around a blocked or narrow artery area. Percutaneous Coronary Intervention (PCI) - The narrowed artery area is expanded with the help of a tiny tube called a stent. Both of these operations are equally effective. The best for a particular patient depends on the course of the disease and the prognostic conclusion. If surgery is still recommended, you should talk with your doctor or surgeon about the course of surgery and the need for special training. 1. Жаба // Словник української мови : в 11 т. — К.: Наукова думка, 1970—1980. Angina common today is of various forms, but one of the most unfavorable is progressive angina. This disease may be complicated by myocardial infarction, so it is extremely important to know what the disease is. Unstable angina is considered a pre-infarction, so timely treatment should be done to help prevent formidable complications. A complete examination of the patient is mandatory, after which individual therapy is selected individually. A pronounced clinic and a long process of development is characterized by angina, formerly known as "chest frog". 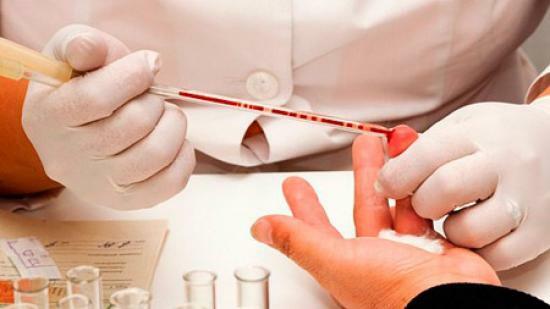 The disease has specific symptoms that allow faster and accurate diagnosis of the pathology. When performing the patient's medical recommendations, stable angina is characterized by a favorable flow.